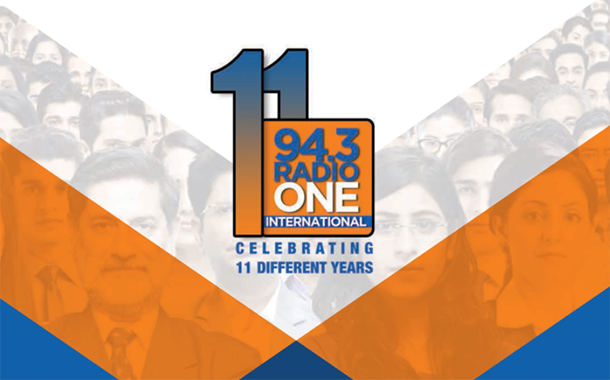 Mumbai: Radio One 94.3 FM, the brand owned by Next Radio Ltd, has began its 11th year celebrations with the launch of its unique audience tracker called the International Indian Annual Monitor report. The 11th anniversary of the network is being celebrated from 4th September and itwill peak on 18th September, the day of the anniversary.The celebrations in its 7 cities of operation will continue till the end of October 2018. The ‘International Indian Annual Monitor report’ tracks ‘brand/category preference’ behaviour of its 4.2 million upscale listeners (as per IRS) in Delhi, Mumbai and Bangalore – the largest media markets. This pioneering report was created with queries pertaining to brands/categories that were designed as ‘help questions’ and not research. These ‘help questions’ were asked by Radio One RJs on its stations and its 1.3 million fans on facebook. The questions sought genuine listener advice and listeners helped their favourite RJs in making real life product / brand choices. Extensive responses have been tabulated in the report to provide valuable insights for future content creation & improving brand conversation impact for advertisers, exclusively within this upscale audience of 94.3 Radio One. “The International Indian Annual Monitor, a first for any media company in India, directly tracks our upscale audience consistently & accurately to build enhanced value for our listeners & advertisers in the digital age,” said Vineet Singh Hukmani, MD & CEO Next Radio Ltd, who also completes 11 years with the company on Sept 18th. The theme for the celebration is ‘Whatever It Takes’, which has been expressed in a song performed by the company’s in-house band. The station’s sound design is also being refreshed. Veteran actor KabirBedi will be anchoring a new program #OneWon that showcases unique situations that came together during the year to create a winning combination.